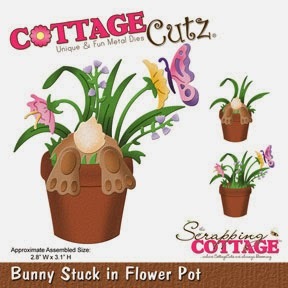 Hello everyone and welcome to another CottageCutz design team project. Today it's Carol here. 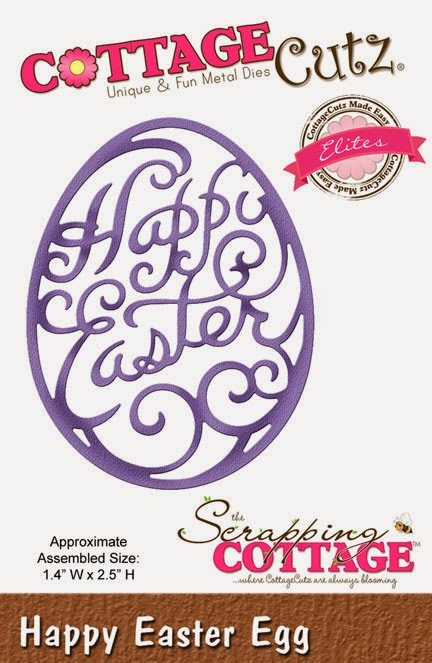 I would like to share with you this lovely Easter Card made with the beautiful Easter Collection dies from The Scrapping Cottage. 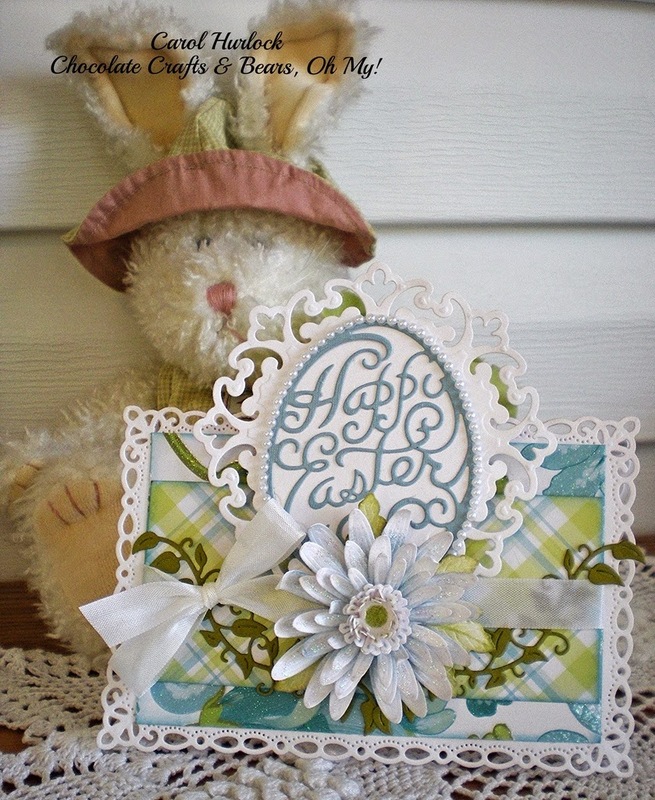 For this card the CottageCutz Happy Easter Egg die was used cut on blue cardstock and the Vine die cut on green cardstock. The paper used is an older stack for DCWV called The Blossom Song. I just loved that stack. I made quite a few projects with it and am still using the small pieces I have left. For the card base Romantic Rectangles was used-you can find tutorials on youtube that show you how to cut the die to create a card. 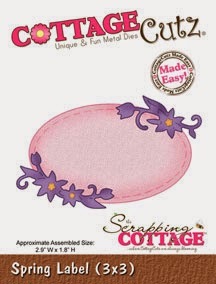 The Happy Easter Egg die from CottageCutz was mounted on Parisian Motifs from Spellbinders. The flower is Spellbinders Gerber Daisy die. It was so fun to create to. When I'm not in the perfect mood to create a card or I don't have much time, I like to create simple one. Clean and simple cards are special and they are always good challenge to say something with little stuff. 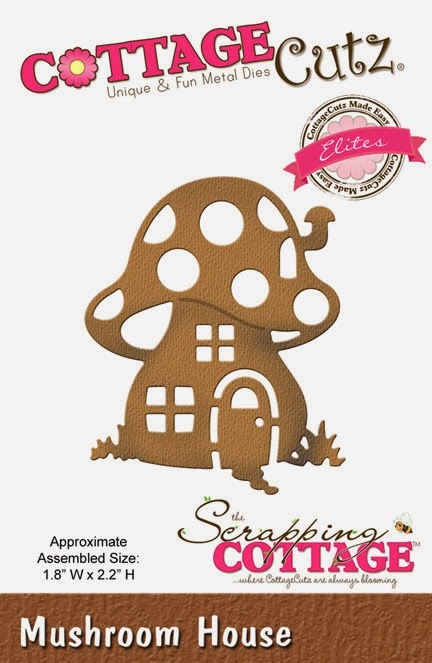 So, I used this cute little Mushroom House die and cut it out twice: with white and red cardstock and glued everything together. Background was created with water, brush and green and blue Distress inks. For final touch I added sentiment and card was finished. 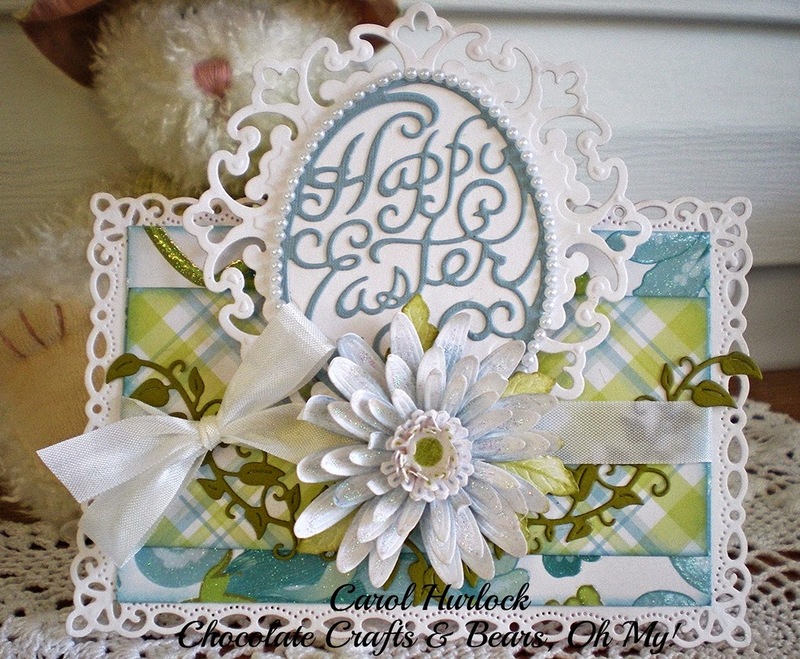 Today I am sharing with you my new Easter card I created with beautiful NEW Spring CottageCutz Collection of dies. 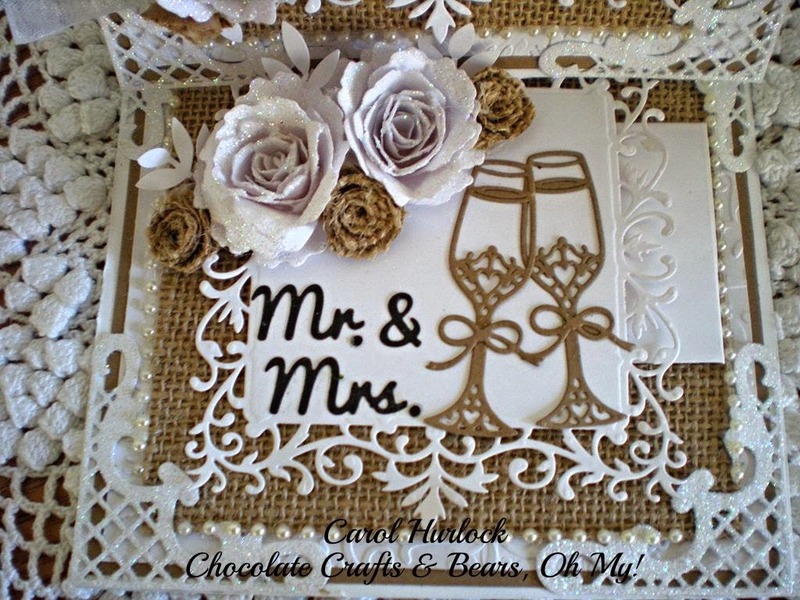 Easy to make card. Just cut image out, glued on blue card stock panel. Added sentiment on card and white pom-pom on bunnies tail. 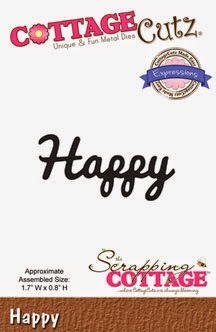 Greetings Crafters. It's Carol here today. Well the day has finally come. 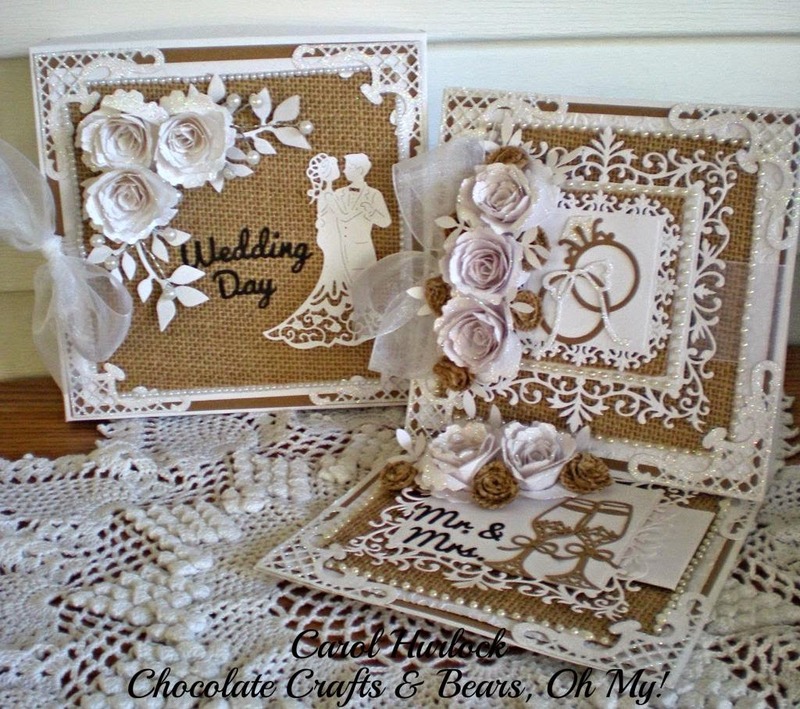 This card was created for my Son for his Wedding with the gorgeous Cottage Cutz dies from last years Wedding Collection. 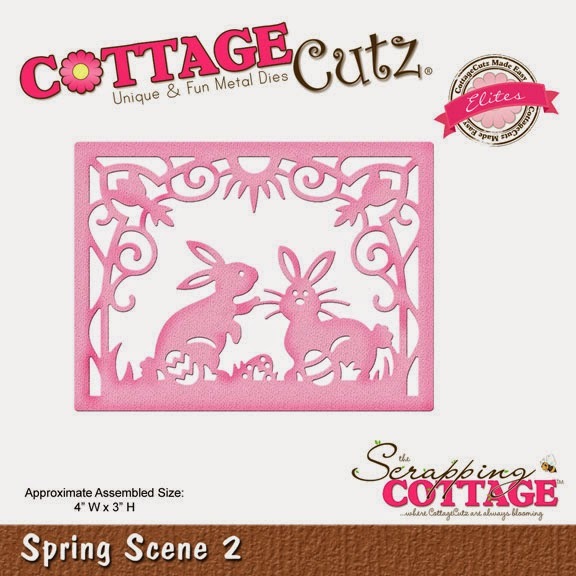 I just loved that release-so many pretty themed dies to chose from. This is the box I created to house the easel card. I showed this to my husband. I said see the card I made for Wesley,....he said that's not a card it's a box....lol He's right!!! The box is 6 x 6 x 2. My flowers are pretty chunky on the card so I had to create the box to accommodate them. 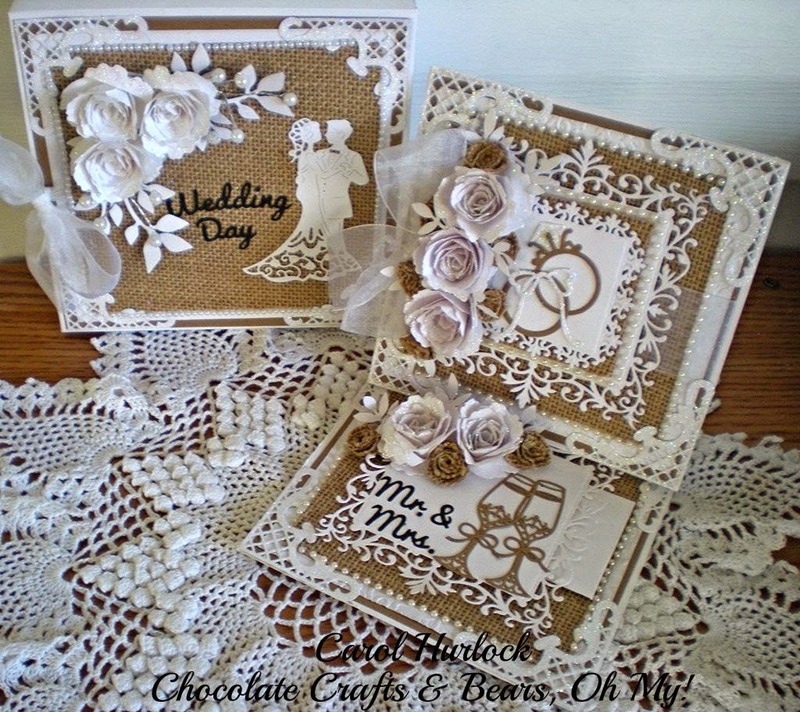 For decorating the top of the box I used CottageCutz Bride & Groom die and the Wedding Day Expressions Die. This is the easel card. 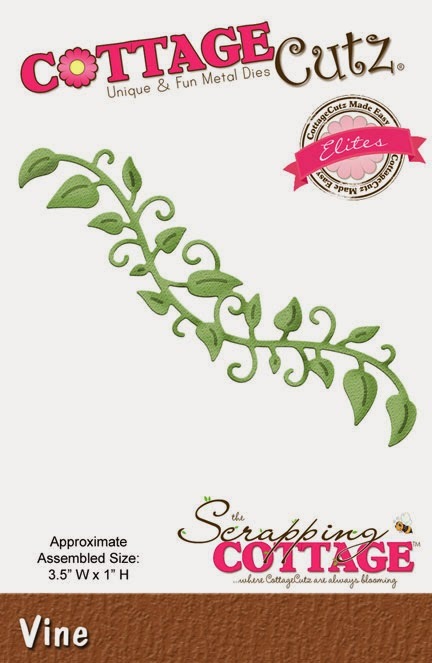 I used the Spellbinders Spiral Blossom One to create the flowers. 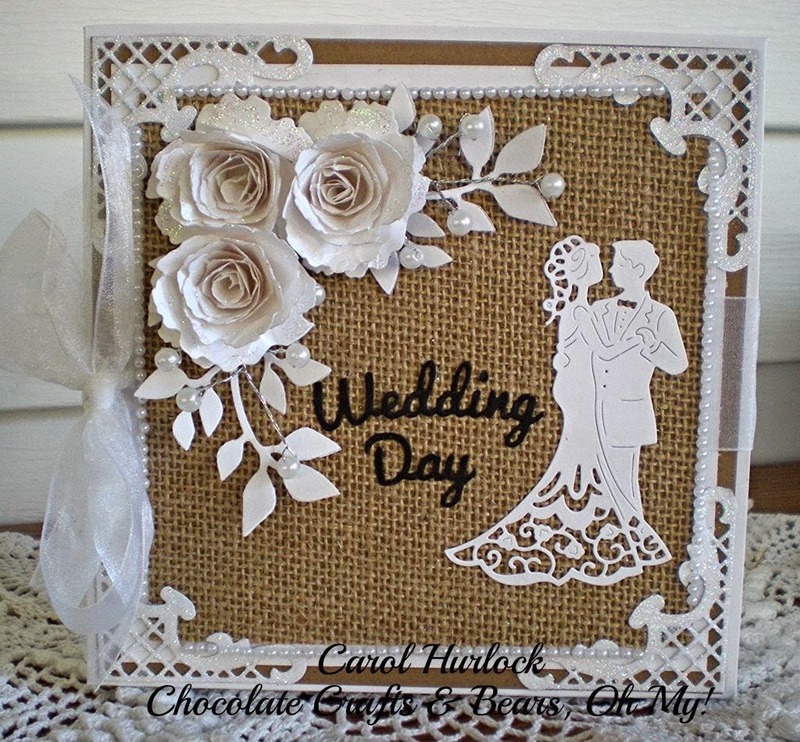 Of course, I had to use burlap as that is part of their Wedding theme. 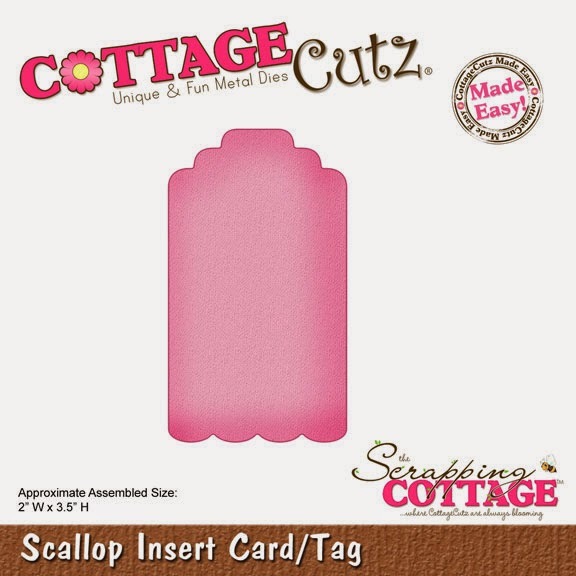 The top of the easel card showcases the Wedding Rings die from CottageCutz. I cut it out on kraft card stock and the diamond and bow was cut on white cardstock I glittered the bow and the diamond for contrast. 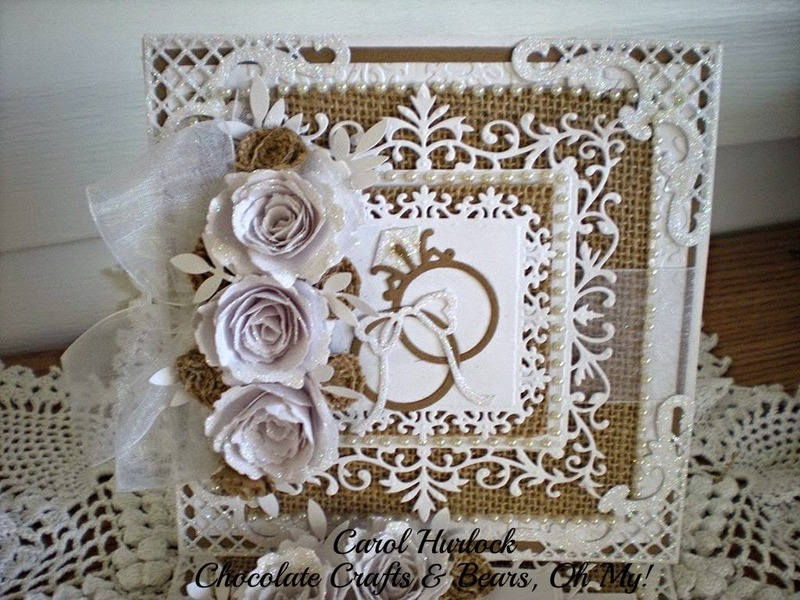 There are little rolled burlap roses tucked in with the Spellbinders roses. 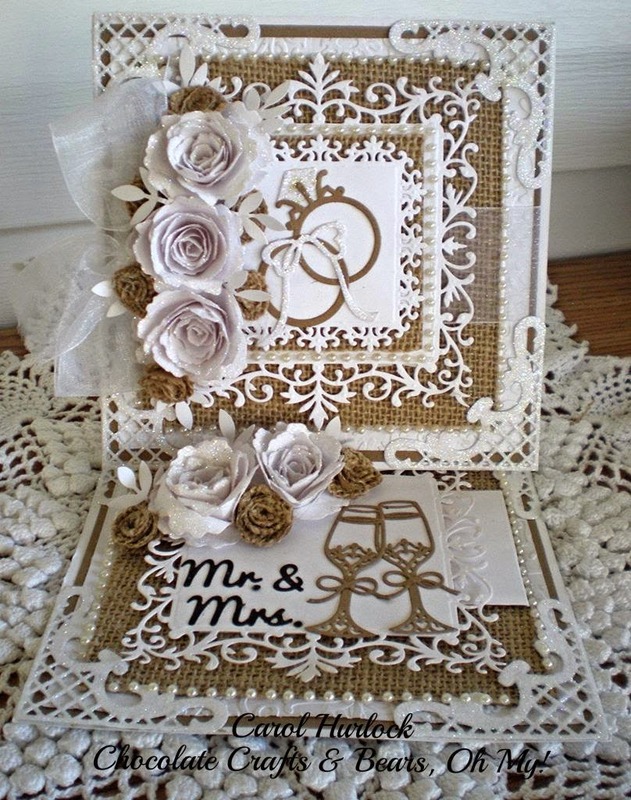 For the bottom of the easel card I used the Elegant Champagne Glass Cottage Cutz Die and the Mr. & Mrs. Expressions Die. Isn't that pretty! I made this so that a little envelope tucks in behind that die cut. I will put my sentiment and gift in there. Thank you so much for visiting today. I sure to appreciate it. Until next time, Happy Crafting. See you again soon! Hi, all! Vladka here today. Today I have this cute little Groundhog for you. Everything is cut out from kraft paper and colored with copics or Distress inks. 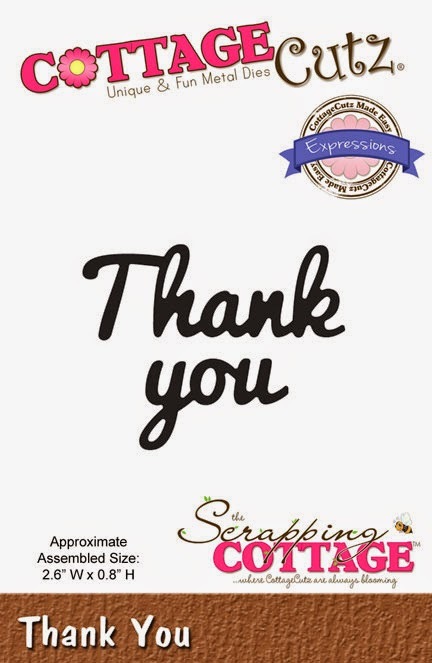 To complete this card, I used also Vine and Thank you expression dies. 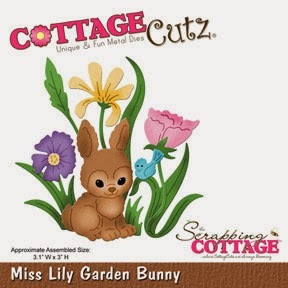 Spring release is full of fresh and cute images for Easter and for any other occasions. 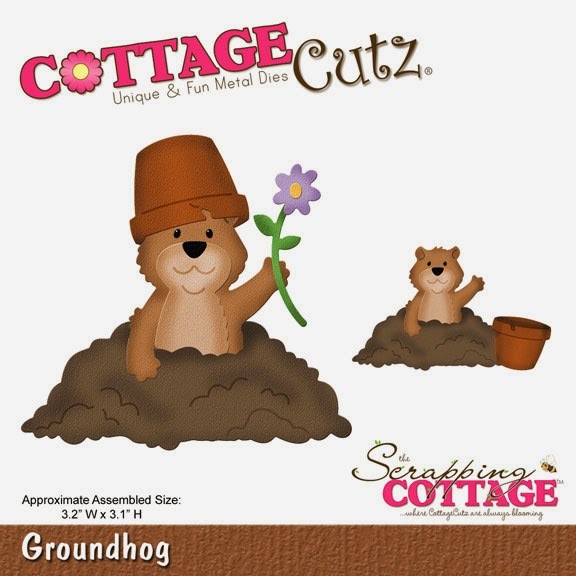 This Groundhog is perfect also for Birthday card, for example. I hope you like it. (Happy, and Easter). they are both colored using the copics markers. 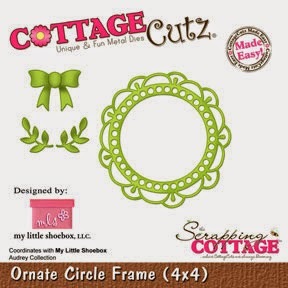 Lastly I used the CottageCutz Border, its the Sweetheart Border. Lastly to embellish, I used some Viva Pear Pen around the edges of the tag. I also used Seam Binding to make the rosette, and tie for the top. I lastly added some buttons. 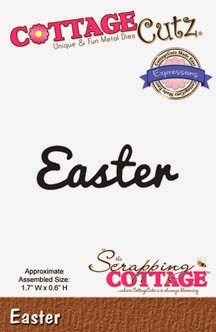 Super fun tag to make, and how cute would this be on a Easter Basket? Thank you for looking, and have a lovely day! 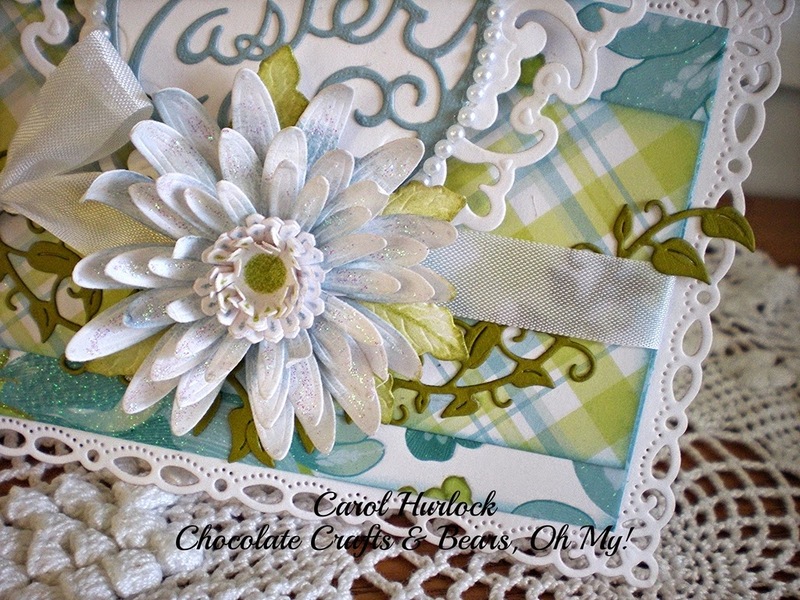 Today I am sharing with you my new Easter gift tags I created with beautiful NEW Spring CottageCutz Collection of dies. For my project I used Scallop insert card/tag die, Spring Meadow Border die, stamped sentiment, craft inks and white ribbon. Very easy to make these gift tags. One border image for 2 gift tags. First, I cut tags out using lt.green card stock. Than, I did made a dots background using background stamp. Next, I cut images out using white card stock. After all, I cut border on half and used two parts of image for two tags. Decorated gift tags with white ribbon, rhinestones and stamped sentiment.